I purchased 1ea Kyocera KC120-1 Solar panel in "used working condition" and after cleaning it up and doing basic testing I can confirm that yes it does work and provides what apears to be good working condition. This is my first big solar panel. This webpage chronicles my experiments and observations and testing. I will also put some ways that I put this panel to use. My Kyocera KC120-1 arrival and testing and cleaning - will be stored indoors when not in use so it needs to be clean and free of "critters and stowaways" as I dont want pests in my lab or workshop. The above shows the actual packing materials and testing and cleaning that I performed the same day that it arrived 7/22/15. I tested it on top of my boat as that gave the least amount of shadow from nearby trees. I used a Fluke 73 multimeter to see the voltage and amps and I angled the panel at various angles trying to see if it outputs full rated power. Yes it does. I see that it gave me 7.1Amps and over 18Volts (solar panel not connected to anything but the meter for that test) so I knew that it was a fully working panel. Next I used a small cheap AC power inverter 300W unit and a small box fan. Amazingly the small box fan was able to run when the sun was at full strength overhead and no cloud obstruction. The fan was not running at full speed and \was making a buzz noise. I was able to run it at all 3 speeds (Lasko 20" box fan) despite the buzz noise it ran at about 1/4 speed on only a 120watt solar panel at 12V 6-7 amps approx and no battery. Again this spot above my boat has a power line casting a shadow which reduces the eficiency of the panel if any shadows or light obstructions. Copy/paste the above link for a more detailed look/description of my experiment in running a box fan from just one solar panel and the wierd display my Kill-a-watt meter showed during this low power study. I used a small clean plastic food package to splash outdoor hose spigot water on to the panel to clean its very thick layer of mud and dust. I didnt want to waste water (or get water inside if the caulk was no good) so I didnt run water on it directly. I used about 5 gallons of water in cleaning it. Afterwards I sprayed "Green Cleaner" and wiped very thoroughly using up 1 roll of toilet paper. I re-rinsed off the panel splashing water as before using another 5 gallons of water. AT this point it was clean enough to dry and go inside my lab. The above shows a repair to the solar panel by a previous owner. The internal tab wire is severely corroded. There is what looks like caulk on the backside - there are 2 places with the same corrosion and caulking patch. Dispite this - the panel does apear to work correctly and seems to give full power according to specifications. It is approximately a 13year old panel purchased for $110 including shipping as the seller accepted my offer. His original asking price was $117 with free shipping or best offer. This seller has sold hundreds of these panels on big-auction-site from the very ad that I purchased. I was sent the wrong controller by a big-auction-site seller and here is what the seller substituted- a non LCD model. I refused to accept discounts or other hoopla (like paying extra to upgrade to the LCD model) because I wanted to OBSERVE and LEARN from my first solar panel - thats why I ordered an LCD model. I need to see Amps and Voltage at a minimum. The non-LCD is not suitable for my needs and so I sent that one back. The seller posted 6ea detailed photos showing the LCD unit for approx $17 and I jumped on it and made the purchase. After receiving the non-LCD I felt swindled (Bait and Switch and in fact after I purchased it the seller switched the photos- but big-auction-site keeps a record and displays the ad that I purchased - so I actually have a screenshot of how the ad looked like when I purchased it. It took a month of emails and alot of photos and etc hoopla to finally get my correct controller. The correct controller being the USB/232. A bright sunny blue sky day with a few "cotton" clouds. Approx 80 degrees F. I decided to give my fixer upper project car (under a tarp) a full charge as just a couple of days ago I received a charge controller which the big-auction-site sent me the wrong one and then gave me a hard time about exchanging - but finally sent the right one 2 days ago. I decided to test the controller and panel by charging up my project cars battery. I put the solar panel on the roof of the car just for convenience as I dont want it to get damaged or have debris such as grass (recently cut) interfere with the cleanliness of the panel. I put the medium size alligator clips and cables on the charger last night after cutting these off (scavenging) off a Victor 1amp/2amp tricle charger which died catastrophically about 5 years ago and I tried to fix it but the copper traces were very destroyed/charred so it was beyond repair. I snipped off the wires and am using these for my solar panel and solar charge controller. The wires are kinda thin and not ideal but - for my needs in slowly charging my project car battery it will be fine. 1. It seems that in the shade the amps are between .6, .8, 1, 1.1 depending on how the sun goes through the leaves. On average it seemed to be around .7 to .8 most of the time. 3. 12:30 sun is just peeking out from behind the trees just barely and between 9:30AM-12:30PM is shade. The voltage after 3 hours in the shade is 12.2V (STarted out at 11.9V with 2 bars) and now shows 4bars. 4. I noticed that dust and debris was contaminating the 2ea USB ports so I cut a small square piece of clear packaging tape to cover the open port. I left the protective film on the face and just taped on top of the protective film. 6. 12:55AM in just a few minutes the solar panel is getting more and more sun. I observed 5.2Amps for a short time and was able to snap a photo showing 5.0 Amps. It varies between 1.1amps and 2 to 3 amps and 5.2amps depending on clouds passing by. 7. Ive observed approx 5Amps as the maximum (due to just laying flat on roof of car and also light shadow of a single electrical power line approx 10ft above solar panel) Frankly Im surprised to see 5Amps because one leaf or shadow can make a solar panel drop down to almost no power production. The shadow is very faint and 10ft above it means that the effect of the power reduction is minimal. I see that the PV value is at its highest approx 16.7V and I snapped a photo at 16.4V - this PV (Photovoltaic panel voltage output) voltage varies quite a bit. I see that the KWH number has reached 0.2 and seems to be a cummulative amount of power - it sums up all of the power produced since being connected to a battery. This KWH number will turn to zero if I disconnect the car battery. It will be interesting to see what the KWH figure is at the end of the experiment. 10. At 3PM Battery voltage is 12.3V and solar panel output is 0.8Amps and KWH is 0.5 It seems the old battery is not holding a charge for long and at this point any further charging is futile- but will continue for at least 2 more hours so I can see what the solar panel and charger can do and especially accumulation of KWH. So the high amperage charge only lasted less than 2 hours due to 2 trees on either side. Amazingly the solar panel still produces power in the shade- that trickle charge accounts for about half of the total power produced. 11. At 4PM Battery Voltage 12.2V and 4 bars. Solar panel output is 0.4Amps and 13.2V and KWH is 0.5 There is a second big tree blocking the sun and it seems to have a more profound effect on amperage than the other tree. Nevertheless 0.4A is still a substantial contribution to charging the battery. 12. At 4:30PM Battery voltage is 12.2V and 4 bars. Solar Panel output is 13.2V and flickers between 0.3Amps and 0.4Amps. KWH is 0.5. The outside temperature is a bit cooler and as I look at my indoor digital thermostat I see 77degrees. 14. At 5:30PM Battery Voltage is 12.2V and 4 bars. SOlar panel output is 13.2V and flickers between 0.3Amps and 0.2Amps (mostly 0.2Amps) KWH is 0.5. Also the green power light is flickering I didnt notice that before due to the bright sun. Now that the Sun is not super bright - this is noticeable. I wonder if it did that before? Ill have to see if it is solid lit at a future occasion. Fo now I have to assume the charge controller is running well. It may be tha it has a defect as it is flickering maybe about 20x per second. The above picture was created by me using Microsoft Paint and depicts the sun ray's direction. 2 Nearby trees cast shadows for most of the day 8/12/15 but forapprox 2 hours between 12:40PM and 2:40PM there was full sun to the solar panel. A minor obstruction was a light shadow cast from an electric utility line which reduced this maximum power to approx 5amps. Another reduction in power came from laying the panel flat rather than optimum angling. Even so - the solar panel produced sufficient power to take a weak battery up to charge sufficiently to start a car from 9:30AM to early afternoon. After this experiment I see that my car battery does not hold a charge for long as it is a bad battery but still starts and runs the project car without issues. This experiment shows me that it is possible to charge a 12V car battery in one sunny late summer day even in shade tree conditions. Shade is a ambiguous term as shade has a wide range of latitude - very shady or mildly shading being at the extreme ends. Under shady conditions - I was able to achieve somewhere between .5 or .6 and .8 and 1.1 amps throughout the experiment- this contributed greatly to the overall charge of the battery. It provided more power to tha battery than I originally expected. This is evidenced by the 0.2 KWH produced in the shade in the morning versus the .3 KWH produced in the full sun. Another .2 KWH is what I anticipate to see in the late afternoon. We'll see if my hunch is correct? 2:40-6PM made no difference in battery possibly due to old battery or charge controller not working (fast green led blinks)? I decided to try charging a motorcycle battery which is no good for motorcycle use but I have been keeping it on hand to run 12V LED like a flashlight in case of power outage. The voltage was down to 11.9volts and I decided to substitute this battery in my car charge solar setup (solar panel still on car roof) and with the solar panel only producing 0.2amps it is definitely safe enough to charge a motorcycle battery at that low amps. Well in only 20minutes my battery voltage is up to 12.2volts and green led is still blinking quickly. I looked in the manual and it said that this fast blinking LED is a short in the LOAD but there is no load connected. I had it on Charge only model CH and I tried switching it to 24H and H mode and the external load turn on/off LED display responded (still I didnt conect a load) Other than the fast blinking LED it looks like the unit still charges. Here's a few photos of the controller LCD and motorcycle battery. The sun is drastically reduced and yet it is still charging. Even with the sun behind a tree - it still produces 13.2V and 200milliamps estimated at 6:30PM on 8/12/15. I didnt expect the KWH to retain its memory after I unplugged the alligator clips from the car battery. When I plugged it into the motorcycle battery - the 0.5KWH was still there. I didnt disconnect the solar panel from the controller- so there must have been sufficient power for the memory - from the solar panel being connected. At 7pm I see that the motorcycle battery is flickering between 12.3V and 12.4V on the LCD display of the solar controller The solar panel output is flickering between 0.1A and 0.2A The KWH is still 0.5. Other than the flashing green LED it seems to be working correctly. Im wondering if the solar panel and the battery are disconnected - if the memory will be reset and trouble code (flashing green LED) will reset? At 7:15PM I went outside with a watchmakers screwdriver and I unscrewed one side of the solar panel wire and unclipped the positive alligator off the battery. I left it disconnected for a few seconds and then reconnected. The only change I see is that the KWH is now 0.0. Everything else is the same as before. I also see the sun has gone down further and the charging current is 0.1A and battery voltage is 12.3V and solar panel volts is 13.3V As the sun is going down - there happened to be a gap in the leaves on the tree so I left it to charge just a tad more. At this time of day it is still light out but as I go indoors it is necessary to turn on an indoor light to see. Im amazed that the solar panel is still producing power. As long at the solar Panels voltage exceeds the battery's voltage - then there will be a net gain in battery charge. Im starting to wonder if the manual is wrong? Is it possible that at low power the light blinks fast? - supposed to be that way? Is it storing and releasing power 20x per second to maximize the charge even in low light - like a capacitor? Ill have to check it wth an actual load - it is possible the blinking LED is due to no load being present. At 7:45 I disconnected the battery and brought inside the solar panel after brushing off/blowing off with apuff of air - a few ants and a small spider. I measured the motorcycle battery with my Fluke 73 multimeter and it measures 12.23V which is higher than it was at 6:20pm before charging (was 11.9volts as measured by the charge controler display) and I knew the battery was low as I used it for LED light use as an indoor flashlight. So my solar tests were successful- I have a worn car battery and possibly a defective charge controller. But I was able to charge my car battery a bit and my motorcycle battery a bit. $127 Was it worth it? Yes and no. It seems like I received junk. But it does work and does what it is supposed to do - charges a battery. I will test again in the future. Oh one more thing - did the car start? Yes it did - one key turn start. It wasnt a strong start but it started up instantly. The solar experiment accomplished everything I needed it to do. Im writing this at 8:05PM after spending from 9:30am until now. It would be much faster to just hook up my Schumacher battery charger to the wall outlet and just use that - but this was an experiment as who knows what the future holds and I wanted a solar panel in case of emergency or for occasional practical use. I spent quite a few hours online yesterday looking for videos or information about my solar charge controller. I was hoping that someone else showed their controller in a video so I could see if the green light was supposed to be blinking. This is not my video and Im not affiliated with it. (55minute video in a language I dont understand) Video shows inside and outside and demonstrates settings. I dont know why he removed 3ea capacitors????? I found the following youtube video from a man who speaks a language which I dont understand. He was busy correcting some crooked internal parts by soldering and he did a very surprising thing - he removed 3ea capacitors and laughed about it. SInce I dont understand his language - I dont know why he removed the parts? But anyhow I viewed his VERY long video and due to camera angle - I really had to watch the whole thing and even so it hard to say whether the LED was flashing due it being so dim. I think that it did flash so I felt better after having seen his unit flash green. It is very possible that there is nothing wrong with my solar charge controller. I have read some other manuals for competitive products and some of those charge controllers mention that an LED is solid while charging in regular mode. Then when it gets to float mode then the LED starts to blink while float charging. That is a possibilty with my own charger - having only used it for 1 day - I cant jump to conclusions about if it is working or defective. It seemed to charge ok and after having viewed the international language video - I see that his unit was blinking also. Here is a photo of my LMS2430 Solar Charge Controller showing the label/sticker. Here is a PDF file which has the specifications for the Kyocera KC120-1 solar panel which I own 1ea at this time in my basic solar battery charging system. I wrote to a kind big-auction-site seller who answered some of my questions regarding the LMS2430. He said that the blinking green light means that the solar charge controller is doing some work such as equalization or other functions. When it reaches a full charge of 14.1 volts then it will be steady. He said that at 1.5 amps (he read this very page) that my battery has a long way to go and may be days before it is equalized - or if the batter is no good - may never reach that. His reply was very helpful - after reading his message and seeing the international video on youtube where the man soldered and soldered and modified ... who knows why? That is 2 other people who have had blinking green LED. That makes me feel better that nothing in wrong with the solar charge controller. Also interestingly - he advised me to keep the LMS2430 (not that I was planning on selling or upgrading anyways) because his MPPT controller is no better and he wrote that the LMS2430 did a good job charging and maintaining his battery while using a 160watt solar panel. Heres the actual emails with name blanked with generic. Here is a scan (I scanned this on Canon LED scanner from the early 2000s) of all pages one-by-one of the owners manual - it is a Zip file and not a PDF file. 19 pages approx 4"H x 5-1/2"W x scanned at 300dpi grayscale to keep the file size small. The original manual is B&W non-color and has 2 staples down the center. The back cover is blank and not scanned. Original manual looks like ordinary standard copy machine white paper. The namebrand of this solar charge controller is unknown and I have seen this very same item on alibaba and another online vendor each referring to it by different namebrand. I suspect that it comes from China, Japan, Taiwan, Hong Kong or SIngapore or elsewhere and several vendors just put their own namebrand on it. My unit has no namebrand and the manual is very generic and does not have a namebrand anywhere. I repeated the experiment from 9:00AM to 5:00PM but changed my procedures somewhat. I am shortening my summary here. In the morning and afternoon I charged the motyorcycle battery as the under 1.5amp tree-shade charge is reasonable for a motorcycle battery charge. During the bright open-sky peak period (no trees blocking) I removed the alligator clips and connected it to the 12V car batter still installed in the 1993 Thunderbird project car. In summary - I feel that both batteries are old and Im trying to work with what I have. Both batteries lost some power on their own from just sitting. I was able to charge both of them up to approx 12.4volts. After an hour or two - they both lost some of that charge too on their own. By "exercising the battery" I hope to POSSIBLY regain some capacity. All are 6000k approx color and gives off a blu-ish very white light that is substantially whiter than a standard incandecant edison lightbulb. My total cost of 3ea 12V LED bulbs approx $35 including amazingly free or cheap shipping from China (3ea shipments from 3ea different sellers). 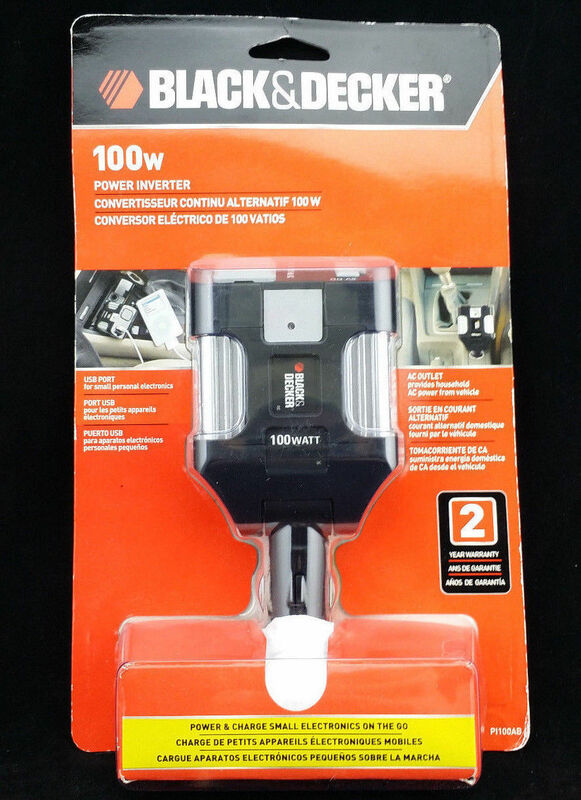 The 30Watt light being the very best one as light output is amazingly bright at only .70 amp draw 12V DC. 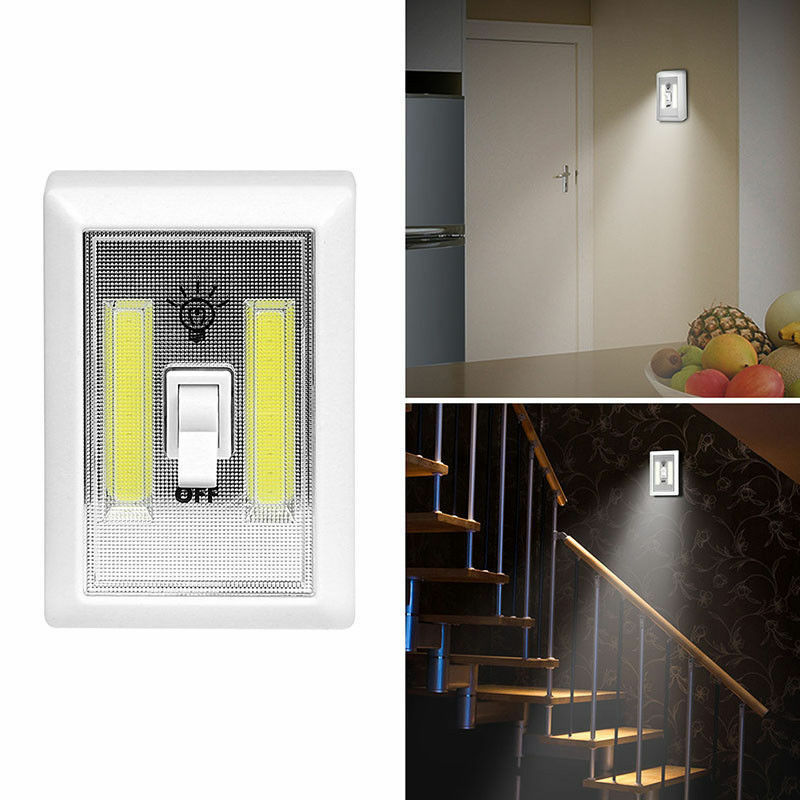 All three together gives approximately the same brightness as 2ea 60watt equivalent LED bulbs. The amount of current draw is very small at only 1 amp approx. I have run these lights sometimes just one or in combinations or all of them simultaneously - off my solar motorcycle battery. I start the lights when the sun goes down and I stay up sometimes until 2-3? oclock in the morning working on projects sometimes. So these lights have been tested alot over the last month. They work very well. I have charged the motorcycle battery in the above updates - these LED lights were my means of using that stored energy. Today I decided to charge up the motorcycle battery as it was at approx 11.5volts and it is a nice sunny day without clouds - slightly breezy around 78degrees F. I put the solar panel in the backyard by the fence. I tried leaning it in various angles and I tried it horizontal and vertically and even flat on the ground. It is quite easy to reach 4.8 to 5.2 amps without trying too hard. I didnt try to maximize to 7 amps which is quite finicky to reach it. 5 amps is more than enough and actually too much for a motorcycle battery charge rate. So I charged it for a couple of hours. I would imagine I put about 6-8 amps into the 12v battery - that is a wild guess but based on hardly any clouds and 2 hours at 4.8-5.2 amps. I brought it inside at 12:45 pm because of the trees/shade and that point amps were at .4 (tree shade) and it wasnt going to add anything much more - if I left it there - so I took it inside. I feel my old useless battery is charged "good enough" for LED use. I snapped some photos of my 3ea LED hanging lights. I put 3ea thumb tacks and bread bag wire (twisty wire from bread bag) to hang the LED lights from the thumb tack. The LED lights have a 1 meter cord (approx 36") and 2ea mini alligator clips. So I store that cable and alligator clips by wrapping it around the bulb and clipping the aligator clips to the plastic hanging bracket - when not in use. The motorcycle battery is directly underneath and easy enough to clip onto when it starts getting dark. I have been economizing for years on electricity running lights only wherever I am at the time and shutting off lights not in use. Im accustomed to minimal lights and this is the next step - motorcycle battery powered LED 12V lighting - the battery charged by a solar panel in bright sun for 2 hours powers it for about a week. I just carry the solar panel inside/outside when I need it, I carry the motorcycle battery in/out as needed to charge or use. The amount of power produced and savings are nil or next-to-nothing. But I am frugal with my resources and since I have a solar panel - Im going to put it to some use on a minimal level on a regular basis. Is it saving me any money - no. It is just for experiments and my own knowledge. If there is a calamity or catastrophic event or other unknown - I will then know the capabilities of 1ea solar panel and charger and motorcycle battery and LED lighting - very thoroughly - including best locations and hours to place that solar panel in which spot. These new LED lights are so economic that it really doesnt use up much power to run it. So running off of 12V DC versus 125V AC - is it cheaper - it is so cheap that power consumption for lighting is almost negligible - either way solar or using AC LED for lighting. I decided to go 12V and skip the inverter for lighting - since my inverter is modified sinewave - it probably cant power LED or CFL well. Also the inverter draws about 1 amp just for the inverter itself - so it is pointless to use an inverter for lighting. In a long term emergency (hope not) wasting the life of an inverter for lighting is a waste of an inverter's lifespan. A 12V led light is made of lots of little surface mount LEDs soldered to a round PC board inside the plastic globe. If an element burns out - the rest still light up - so it is a very robust design and these LED bulbs are rated for between 20,000 and 50,000 hours. I probably have about 25 hours on each bulb - for all practical purposes - they can last a lifetime if taken care of. I put the solar panel on the ground but leaning against the fence horizontally. It was a very sunny day with plenty of clouds. I let the motorcycle battery charge from 8:30am to 1pm and the battery voltage started out at 11.5volts and after charge is at 12.96 volts as measured by my Fluke 73 multimeter. When the charge controller was still connected it read 13.5 volts and was making a bubbling sound. The acid level is about midway between the upper and lower fill lines. As usual I took the solar panel inside after use. I used the LED hanging lights quite a bit yesterday so todays solar charge was needed. The counter on my charge controller read .5kwh and 100% of the time was used to charge the motorcycle battery. 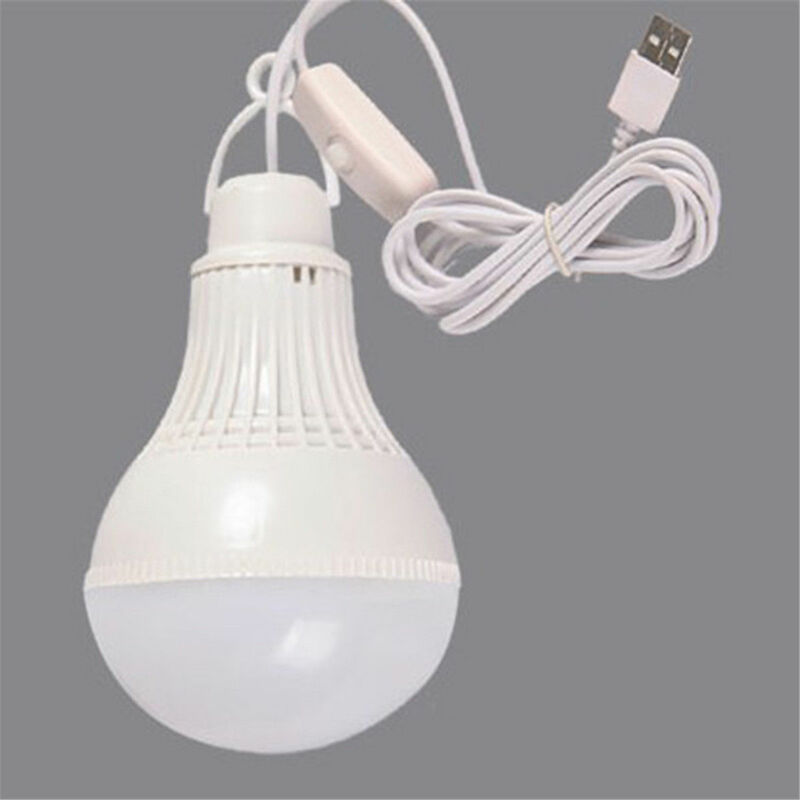 Last night I used the 9watt LED hanging bulb from 9pm to 6am this morning continuously which draws .30 amps. The motorcycle battery measured 12.45 volts at 9pm using a Fluke 73 multimeter and when disconnected at 6am the motorcycle battery measured 12.02V with the same multimeter. I have just now 9:45am brought outside the solar panel (leaning on the fence) and motorcycle battery to charge- I figured the battery lost about 2.7 amps of stored power. Today is alot of thin clouds and solid sky is cloudy with no cloud cover gaps but still a bright day where I can still see a shadow of myself on the ground but not a very high contrast shadow. My charge controller LCD shows 0.6 to 1.2amps - so it will take about 3 to 5 hours to top off the battery to where it was last night. This type of slow charge is much better for a motorcycle battery (trickle charge at 1amp) than a massive 5amp charge in full sun where the water bubbles. Todays approx 1 amp solar charge is just right for a motorcycle battery - no bubbling inside the battery is best for longevity of the battery. At 4pm I brought the panel inside and the battery inside (blew off a few ants with a puff of air) - the Fluke 73 measured the battery voltage at 13.1 volts. The Kwh cummulative power as displayed by the solar controller was only 0.1 KWH for all day. It is possible it is close to 0.2 kwh but that is only a hunch. Even so - most of that power was produced in the morning as the clouds became progressively thicker - letting less and less sunlight through. At 4pm it looks very overcast outside. I seem to have put a "good enough" battery charge and there (from previous experience) seems to be a "settling down" of the battery voltage in which the battery voltage is higher immediately after disconnecting the solar panel - and for a few hours alter - the battery voltage will be lower in a few hours. I notice a very slight bubbling action when I moved the battery from outside to inside - but it was minimal. The 1.2Amp charge rate took place when I first brought it out there and subsequent follow up visits always showed a lower and lower current 1, .9 , .8. 6, .4, .1 as the day progressed (6.5 hours approx). I got a charge on the motorcycle battery so that is all that matters. Using a 9Watt LED rather than the higher wattage bulbs seems to be a good strategy for maximizing this cloudy amount of light and the resulting minimal battery storage. I intended to put a 2.7 amp charge and I may be pretty close to that - maybe a little less - its hard to say as the battery voltage hasnt settled down. This morning I used my Fluke 73 multimeter to check voltage on the battery - was at 11.97 volts after the 9Watt LED being on for 11 hours (from 8pm to 7:30am) and today was a very very dark cloud day and was raining until about 11am - it was so dark that even at 7:30 it was dark enough to need a light - so I used th standard AC for lighting. Ive been using ac lighting all day since - there is not enough sun to charge my battery. I used about 3amps of energy from that motorcycle battery last night - and that tell me in hindsight that I did put at least 3 amps into the battery on the previous cloudy day where it only shows 0.1KWH on the cummulative meter - but even so 3 amps was put into the battery approx. Rather than drain the battery way down - Im just using AC lighting today. I can see that on cloudy days - having 2 solar panels and 2 batteries is probably a good idea. I have been using the 9W LED light for the past 2 nights - continuously from about 8pm to about 6am and each day charging by bringing the battery outside and the solar panel on top of the project car from about 8:30am to approx 12:30pm. The battery seems to be topped off at that time so - further charging would only boil off the water - especially since at that time the Sun peeks out from the 1st shade tree - alot more amps from full sun exposure. As Im writing this I just brought the solar panel back inside and the battery back in from charging. The battery measures 13volts exactly on the Fluke 73 meter and the charge controller this morning as I first connected it for charging said 11.9volts and at the end of charge it said battery at 13.5 volts. This type of morning to Noon charge under the shade tree area seems to be enough to top off the battery - regarding what is being used all night by a 9Watt LED bulb. The past two days were sunny blue sky very very light wisps of cloud days - practically non-existent clouds. Charge rate was from .6 to .8 to 1.1 amps (under the tree shade- very desireable for charging a motorcycle battery at not too high amps) when I checked on it. I didnt put it by the fence because it rained 2 days ago and was ground very wet still - would just get all my solar stuff - all muddy - whereas on top of the car is nice and clean. The last two days I "wasted" the potential of my solar panel by bringing it inside at the peak production times - because all I need is 1 motorcycle battery charged - at this time - each day. It is amazing how the moisture in the air/sky after it rains - this moisture gets heated by the Sun and warms this area. When it was droughlt-like and grass turning yellow - it was actually chilly. Now that it rained - the shorts and t-shirt weather are back. I have been taking my solar panel outside and battery outside for a few days as it has been sunny and hot this week. The battery power obtained was used to power a 9 Watt LED light at night. 4. I discontinued attempting to use my solar charge controller on this bad battery because I didnt want to ruin the charge controller. 5. When I hooked this bad battery to my Schumacher battery charger - the charger also acted strangely but it managed to charge it to 10.5 volts in 15 minutes and then when I read the disconnected battery's voltage on my Fluke 73 multimeter - THe voltage was quickly dropping on its own and in a matter of a few minutes was down to less than 2 volts and still dropping. I have concluded that this battery has an internal short. I have been thinking about slicing open the battery case to see the internals. I just feel that I got skunked on this battery years ago by a bad seller. This battery has caused me SO MUCH GRIEF and ruined electronic boards etc. It is a real monster battery. It has caused me so much grief that I want to dissasemble it and figure out just what is going on in there - and possibly rebuild it. I dont know of ANYONE who has ever taken a battery completely apart and actually fixed it. I have seen all kinds of gizmos and chemicals that supposedly fix a bad battery - but at least some of that is quackery and gimmicks. I have been saving this battery and I may make a project out of it. I have been thinking about how to slide it open and then fix it and then carefully plastic weld it back together leak-free. But for now I am back to using my other battery which holds a good-enough charge for running a 9Watt LED - I tried it on my motorcycle and it doesnt have the power to crank it even one time. But for solar power it is actually working out just fine. The large photo shows the bad internally shorted battery (I was figuring this out at the time) was confusing the battery charger. The other photo - it is clickable to view it - shows the bulb I used to draw out the acid from the white container to put inside each of the internal battery cells. This bulb was made from a Radio Shack desoldering bulb and the bod of a ball point pen. I cleaned it out thoroughly after use and the pen is back as a pen and the desoldering bulb is back as a desoldering bulb. I didnt want to cut the acid container and use their small tube as then this container would have a hole in it and by my use of a DIY suction device - then I can just use the remaining acid for next time - this acid container has been used at least twice so far - at least 3-4 years old at this time. At 8am it looked like it was going to rain and in just 15 minutes it cleared up and was sunny and bright. In that short period of time I took a grocery bag and put a 4" hole in the bottom. I fished the controller through the hole and used a wire twist tie to secure the bag to the controller's 2ea dual-wires. I left the bag open on one end (like an umbrella or like a jellyfish) That way I can just cover the controller in case weather changes. Since the sky cleared up I just tucked the plastic bag under the controller's usual spot on top of the battery. Last night I used the 30watt LED light for a few hours and then all the rest of the late-night through early morning use the 9watt LED. This morning at 8am the battery measured 11.77volts Im glad the sun came out as this makes charging alot better- otherwise if it was a rainy day - charging would have to wait and then my lighting would be AC for the day. Even this morning with major cloud cover - the solar panel was producing 0.5 amps and I was already figuring it would take about 2-3 hours to restore the full charge - but then the sun came out - bright as can be - which shortens the charge time - even in the shade where I normally put the solar panel on top of the fixer-upper car. Having a big solar panel is advantageous in shady conditions. I save about 10 to 25 cents worth of estimated electrical use by using the solar panel/battery LED light instead. So each time I lug it outside- the value of that is about 10 to 25 cents. The value is even lower now that I have switched my AC lighting to much lower wattage LED lighting. Nonetheless - self sufficiency & having a backup plan is important. About 3 weeks ago my next door neighbor went away on a trip and the day he came back - my small rosebush plant was cut down even with his freshly cut Lawnboy-lawnmower-lawn. This is a small section of land that is right on the border of his property and mine and adjacent to my shed with concrete foundation. Whoever cut it - my neighbor or some hired help - clearly did it on purpose because over the years I had 3 roses then 2 roses and now only one left. Carelessness on the neighbors part (on purpose) with lawnmower discharge adjacent to my roses - knocking off the leaves with the lawnmower discharge etc. Well this time they completely cut it down to the ground - and the pink flowers were hard to miss. It was no accident but I didnt see who did it. Recently, I put a small rail/garden fence to protect it and I put small fragments of wood at the base to keep weeds away. Im amazed the rose plant grew back in only 3 weeks and even has a flower now. I have photographed the rose at its 3-week height. I thought about this rose and its own energy use - see it "decided" who knows if decided is the right word for a plant maybe "survival strategy" is a better phrase - but it grew leaves and even flowered rather than just wait for next year. See it needed the leaves to store energy for winter. Even so - it may have expended more energy in growing back than it can afford. I need to make a styrofoam surround for it this winter as it is in a weakened state and may not survive the winter due to the neighbor cutting it down to the ground. I wrote a note demanding he replace the 3ea roses and received no response as of 3 weeks ago. My other rose bush is growing at the back in the fence corner and I dont do anything but weed with a weedeater around it and even so - not very careful. But you can see the size difference. I normally never water my roses but today since it hasnt rained in quite awhile and my grass is dried and yellow - I decided to help the little rose and added about 1/2 gallon of water to it. I used the other half gallon for the big rose bush. I used to have 3 additional roses at the front by the wooden railing - but careless visitors dumping coffee and smoking butts outside on the roses - they didnt survive. I dont drink coffee or smoke and when I ask/tell people to smoke outside - they killed the roses wih carelessness in dumping their bad habits on my now-gone-roses. I have 2 left in the backyard and they dont seem to reproduce or spread - those roses were there 12 years ago when I moved here. Roses need to be planted - they dont spread all by themselves. Im down to 2 left. That little rose needed some help. We'll see whether its life-strategy of growing back - rather than waiting for next year - pays off. In about 1 month - the trees will be shedding their leaves - but this little rose's life strategy was to use its energy stored in its roots to grow back an entire plant including a flower during a drought-like season - and very near to fall. In my opinion - it may or may not survive the winter - unless I put some kind of styrofoam upside down bucket over it - during snow months - as it may not have enough energy left in its roots from all of this growth expenditure of energy so late in the season. It rained last night and this morning is very dark and cloudy. I wanted to see if it would improve and it did slightly brighten by 10:30am but still a very very overcast dark day. I decided to put my solar panel outside and battery with plastic wrap on it. Lets see what type of charge I can get out a day like today. It isnt raining anymore and maybe it will stay like it is the rest of today - who knows? As I hooked up the solar controller to the battery and panel - I see that it was getting between .1 and .2 amps and was flickering between .1 and .2 - lets call it .15amps amps (150 milliamps) with this overcast sky. Lets see how far I can bring up the charge? I protected my charge controller by setting it on top of the battery and surrounding it with a plastic grocery bag. The alligator clips are already slightly rusty - scavenged from a no-good battery charger - so Im not worried about ruining a pair of alligator clips. I put the battery somwhat under/alongside the car so the tarp acts as an umbrella in case of rain. As Im writing this the sky is getting darker and the occasional rumblings of a possible upcoming thunder storm. I decided to put something over the battery and controller - a 4.5quart Aldi supermarket icecream bucket container I saved for collecting metal and plastic for recycling - I will use that as an umbrella over the battery. As I was going back out there to put the plastic bucket over the motorcycle battery - it was drizzling rain. The bucket was a good fit over the battery and it seems (possibly) to be the same type of plastic as the battery case. A better solution would be to have a longer cord so that the battery and controller could be placed further away - under my garage's overhanging roof I see the ground is dry. I have been looking at extension cords for the two-pin connectors which were on my scavenged battery charger's alligator clips. Here is a photo of the extension cables I see on big-auction site some 12ft and some 25ft for not too much money. I am considering getting one or more extension cables. The solar panel is laying face-up so the underside wont even get wet. With an extension cord- nothing else besides the solar panel would need to be exposed to the weather. Another thing I noticed about cloudy days and my solar panel - the light is coming from all directions - not just from one point in the sky. So on cloudy days - I think it doent matter as much where the solar panel is facing. Facing upwards may be the best on rainy days. It is really pouring rain at 12:00 noon - raining as hard as can be ... big downpour of rain. The above cable was advertised on big-auction-site in Sept 2015 as a "Detran Battery Tender 25 foot Extension Cable SAE model 081-0148-25 for approx $16US. The "feel" of the wire is about as thick as your average table lamp cord and has 2 multi-stranded copper wires inside. This type of connector is similar to the 4-pin connectors found in trailer hitch connectors and intended to be rugged and outdoor use. My trailer hitch connectors dangle outdoors for years in between use and sometimes need to be cleaned with a wirebrush or very very light sandpaper to clean off corrosion before use. Real solar panel connectors are sealed and waterproof. Im just using leftover motorcycle bits/pieces/stuff to keep things basic and minimal. 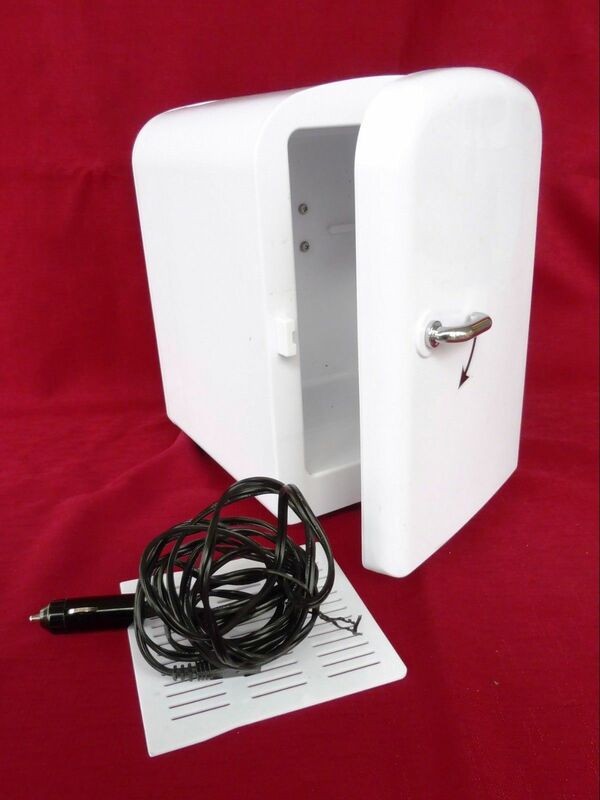 The SAE connector has no clips to crack or break off - it is a diehard traditional way of connecting small automotive/trailer/motorcycle etc charging electrical gear. Sometimes the old way is best and less prone to nickel and diming a person to death. Sometimes something new (MC4 connector) is possibly better for an application - who knows. Sometimes a combination of the new and the old is best - for example - anywhere outdoor solar wires - use MC4 or better yet even better still - a continuous wire rather than a spliced wire. And indoors where connectors will be connected/detached repeatedly a more robust connector is better - without fragile snaps or clips to break off. Those MC4 clips look delicate and especially when plastic ages and especially when exposed to the sun plastic gets brittle and breaks or cracks. Sometimes a little sandpaper is better (speaking about 2-pin SAE connectors pictured) than replacing a broken plastic snap (speaking of MC4 connectors). It depends on the person and application and situation. Use your own best judgement. Im just doing this the low cost method - scavenging from what I already have and buying that which takes me a step further at the least cost. At 12:30pm I checked the the soalr panel between rain bursts (noew stopped raining) and I see the battery is dry and solar controller is dry. The battery voltage is now 12.5V and charging current is .4 amps. it is possible to charge a motorcycle battery on a rainy day. At 6:00pm I brought in the solar panel and battery etc. Just before I moved everything I remember seeing 12.77volts and the last bit of daylight produced a flickering between .1 and .2 Amps of current. The total kwh for the day was at .1 As I brought in the battery I measured it on my Fluke 73 multimeter and was at 12.64 volts. The solar panel was cleaner than I thought it was going to be after a rain- only a few tiny leaf pieces were on it. As I leaned the panel down to carry it - a big gush of rainwater swept off and I continued to drain off that water by leaning against a brick wall for awhile before bringing it indoors. The grocery bag surrounding the dry charge controller was plenty dirty so I didnt bring it inside. It will go in the recycling container. I dont see any damage from being out in the rain and the icecream bucket successfully protected the battery and charge controller in between. I was able to give the battery somewhere between .64 and .77 volts which is better than nothing. It may be enough to power 1ea low wattage LED bulb for 1 night. Since I got an extra good charge with yesterday's sun - it probably will be sufficient. 2. An extra solar panel for days where there is very little sunlight or rain. I am very impressed with the Kyocera KC120-1 120watt solar panel producing power even on very overcast dark days. It would be good to have more than one panel - even though my LED light draws very little power - it would be a good idea to have more than one solar panel as the amps are about 3/4 of what I estimate are needed to fully charge a motorcycle battery on a cloudy day while simultaneously being under shade trees. but of course 120 watts x 2 panels has a much better margin of ease in accomplishing that. I checked the back of the panel and it did get wet because as I leaned the panel off the car roof some water sloshed. We'll see tomorrow if any water got in past the silicone caulk done by a previous owner - or if it was fully sealed and waterproof. As I re-read my past articles and experiences - I see that the motorcycle battery is progressively improving on being able to hold a charge. As I read my notes on the first day - I see taht the battery was charging but dropping draining all by iteself and at the end of the day it was no where near what it measured before. I had assumed the charge controller was in some mode to drain it - but that was ony because my battery itself was not holding a charge for long. the better it seems to hold a charge. Im sure there is a point of diminishing returns since it is an old worn out battery - but my point is that the battery is in better condition than when I started out on these experiments... a little over a month of nearly daily use may have exercised the battery somewhat. It still doesnt have the cranking amps to start my motorcycle - I can attest to that because I tried to start my motorcycle on this very battery just a few days ago. Another noticeable factor regarding solar panels is the dirt dust and debris water etc which I dust off/wipe off the panel each day. If it were outside 100% - it would accumulate. Cleaning off dirt and dust can scratch glass so care must be taken to do carefully. A squeegee may carry scratching dirt particles lengthwise - causing scratches and impede energy production. A formulation of a careful cleaning strategy is important. WHich makes me wonder about roof-mount solar panels and large scale power plants - thats alot of solar panels to clean. 1 solar panel - I can tell you has little dots of clinging dirt that are like paint speckles. They wipe off - but over the course of several days - that may become progressively more difficult to clean - if left to accumulate. As I measured the motorcycle battery this morning at 7:40AM it was at 12.04V and is holding more charge than I expected after running all night on 9w LED bulb. I set out the solar panel & battery & controller the same as yesterday with the exception of no plastic bag surrounding the charge controller. I feel like the icecream bucket is doing an adequate job of protecting from rain. Since today is still cloudy and overcast and very strong chance of rain - I set out the solar panel etc earlier outdoors to obtain more hours of charging time. It is brighter outside than yesterday but not by much- the current supplied by the solar panel at 7:45am is flickering between .1 and .2 Amps. As I see the voltage drop was not as drastic as I thought from last nights LED use - I feel that the everyday use of the battery and differing voltages from use/discharge and sometimes overuse - may be exercising the battery and possibly the pulses from the PWM controller are helping the battery capacity to improve. Also carrying the battery in/out daily sloshes around the battery acid a bit and this may be acting as a "washing machine" helping the acid and chemistry to mix inside the battery. My desktop computer died 3 days ago so I have been using an older notebook online to check emails and I updated it with the same browser as I had. I am amazed that it performs in a reasonable manner. The main thing is that I have a way to access my email and post updates to my website. This laptop computer is slightly slower than my non-working desktop PC but not too drastically different. The notebook computer uses a DRASTICALLY less power than my desktop computer. I may notice a lower electric bill since I used my desktop computer for alot of hours a day - and just left it running unattended also. The desktop computer uses 10X more power than a notebook (My estimate) especially since I was using a CRT monitor. I took a photo of my solar panel leaning up against my project car- I am probably the only one in the world who purposefully puts my solar panel in the shade and shadows. Im interested in finding out what a solar panel can do in non-direct sun. In the following photo my solar panel is facing North and not an ideal angle whatsoever - it was just propped there. Since I am writing this update about a photo I took 2 days ago - I can tell you that it charged my motorcycle battery fully - I left it to charge longer than when it was on top of the cars roof. I let it charge muchg longer and at 5pm I took it inside. I have been using my 9Watt LED for night time lighting for about 1-1/2 months almost daily. Just today my neighbor was having a party in his backyard so I took my solar panel inside early at 11:30am and was at 12.8volts. As I didnt want to get my solar panel broken or stolen or other bad news - I decided that was a good time to bring it in - as the quantity of visitors cars was increasing in his driveway. Another reason why the solar panel is facing the other direction - is to avoid drawing attention to myself. I prefer that my solar panel be inconspicuous and un-noticeable - it may survive longer that way. I observed the charge controller going into "float" mode yesterday and today. Both days were bright and sunny windy days where the leaves from the trees are staring to change colors and outside temp is about 65degrees F. My battery seems to charge faster possibly because the sun is so bright, slightly less leaves, or possibly due to an accidetal shorting of the battery. (after checking more mosfets and finding them to be fine) I hooked it up one more time to the battery for less than 1 second and I observed the battery itself was smoking and the smoke seeped from the bottom and top case seam. I cant say Ive ever seen that before. 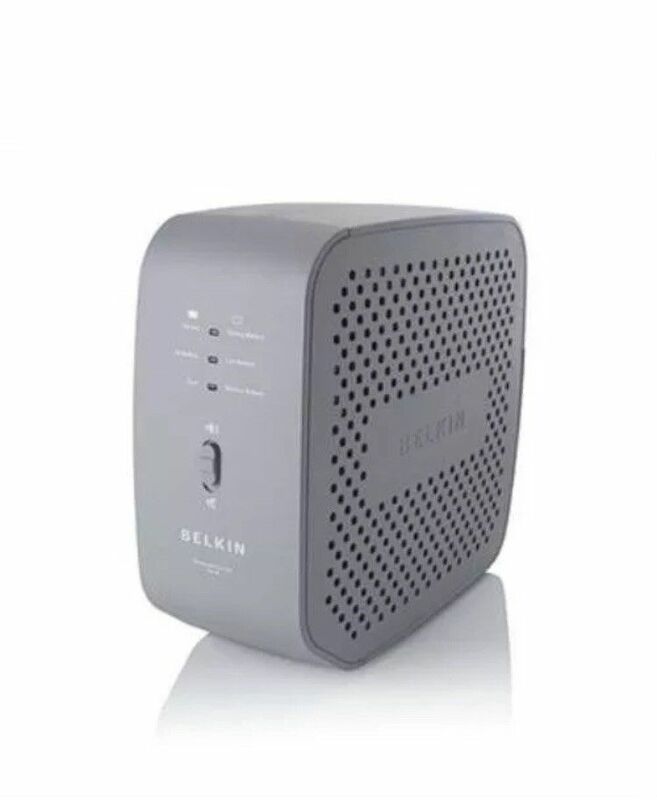 Usually when a device has a power switch - that totally disconnects the device from the circuit - but in the case of the power inverter - the power switch being off doesnt mean anything. As I used this motorcycle battery for solar panel / LED light use - I find that it works different now and possibly slightly increased capacity??? It is possible that this short duration of a dead short (faulty power inverter test) may have cleaned the internal lead plates just slightly. I havent given up on the repair of the ac power inverter - I will need to go through more components checking them on my test equipment in the future. Now I see why it is important to have a external fuse/inline fuse when you use a power inverter - otherwise if the power inverter develops an internal bad component - a catastrophic failure of a battery will occur. It was a very violent event with the internals of the battery very noticeably under tremendous stress and liquid acid boiling and smoke fumes etc - if this happened to screwed down terminals it would not be able to be disconnected instantly - but my alligator clips were able to be disconnected right away. I see no damage to the battery case or internals - so as I continue to use this battery - same as before I carry it in/out daily for hookup to my solar panel and hanging LED light 9Watt. I worked on restoring this 2300W inverter and I desoldered one side of mosfets and tested them on my Mosfet tester and fund about half of them were blown. I had a catastrophic failure on my Butane desoldering tip (not the body of the butane soldering unit) The desoldering tip was very very dimly glowing and other times would be brightly lit. A customer which was observing my repair took my soldering iron outside and must have dropped it because the tip was lopsided and busted inside when I went to use it a couple days later on my own equipment. The $8.50 replacement tip I just purchased 1 week prior was already dead. I will order an original portasol tip because the off-brand replacement tip (which my customer broke) never worked good and was acting very goofball/strangely glowing brighter and dimmer and only glowed normally if you breathed in it. I think the factory put too much fibers inside and it didnt have good airflow. One segment was dark - much darker than the rest. I received junk from big-auction-site and my customer fiddlesd with it and broke it comepletely. I did fix my customers (non LCD) 24-52V Powerjack 1200watt grid tie inverter which he said lights up but didnt output any power (combined 2 bad units into 1 good unit and replaced 4 components). But my own 2300watt inverter (a customer donated it to me as he didnt want to pay for the repair of it) will have to wait until I order a new portasol tip- probably next month. Desoldering the MOSFETS is a real booger as the solder the mfg uses is high temperature and I find that a Butane soldering iron has sufficient heat to accomplish this. My standard 15 watt/30watt switchable pencil style soldering iron - doesnt have the muscle for melting large areas of solder. So I used my Portasol butane soldering iron from Radio Shack for the last 10+ years when I need to do high heat work and unfortunately the tip finally died and the aftermarket tip I purchased online was junk. So I will spend a little more next time and get the original replacement tip for it. I ordered a $34 battery tester from big-auction-site and it was a USA seller so it arrived in 1 weeks time. 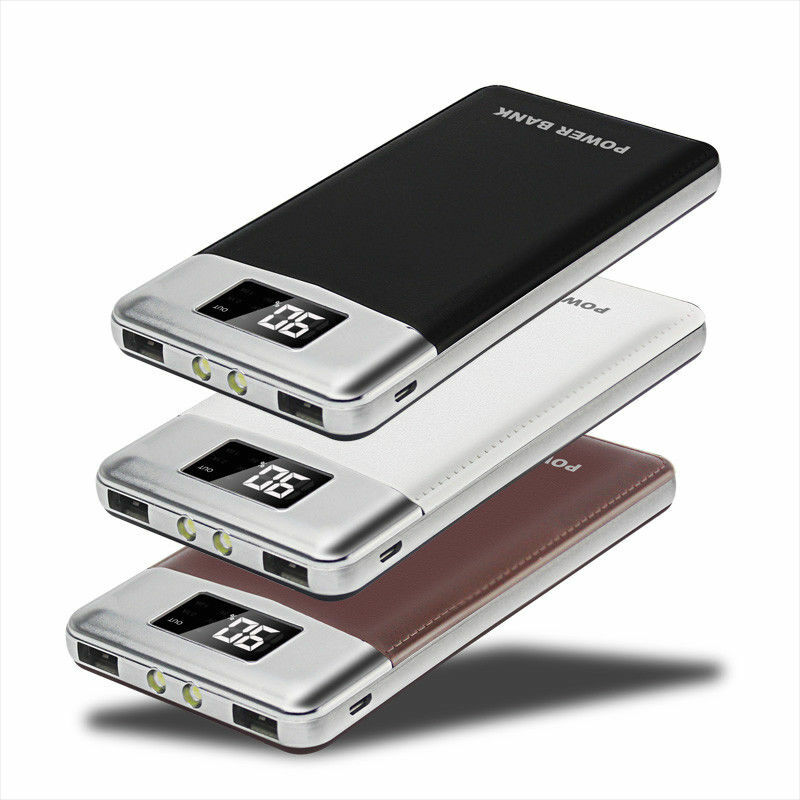 I have been looking for a battery analyzer for severfal months and decided on this model due to price and features. I like this tester alot and has a few features above and beyond. This is my second piece of test equipment from "DUOYI" mfg and both testers have exceeded my expectations. I KNOW my battery is old and basically SCRAP but it is good enough for my LED light and solar experiements. It is supposed to be a 200amp battery (18AH x 10 hours written on battery side) but this tester tells me the actual capacity is 106 CCA so I am interpreting this to mean that the battery has half the capacity of a band new one. I tell the DUOYI tester that it is a 100CCA battery rather than telling it - that it is REALLY a 200 CCA battery. Otherwise the % remaining charge would be half. So for all practical purposes I have a 10 amp battery and that is plenty for powering 1 LED 9W bulb for 2 nights in a row. It was a rainy day and plus I was sore from my own roof repair so I skipped one solar charge day. The above data is the result. The ad on big auction site didnt show a lit up LCD display (see the same photo above) so I was hoping it wouldnt be in strange characters - and it was all 100% english with no strange characters. Im pleased with this tester and was a good value and has alot of above-and-beyond high end features. Well worth the money. It will come in handy as I try to purchase multiple used batteries as my solar bank capacity increased as I add batteries and possibly more panels in the future. Without a tester like this - it would be a gamble buying a used battery as sellers of used items sometimes play games and try to dump their junk to buyers. 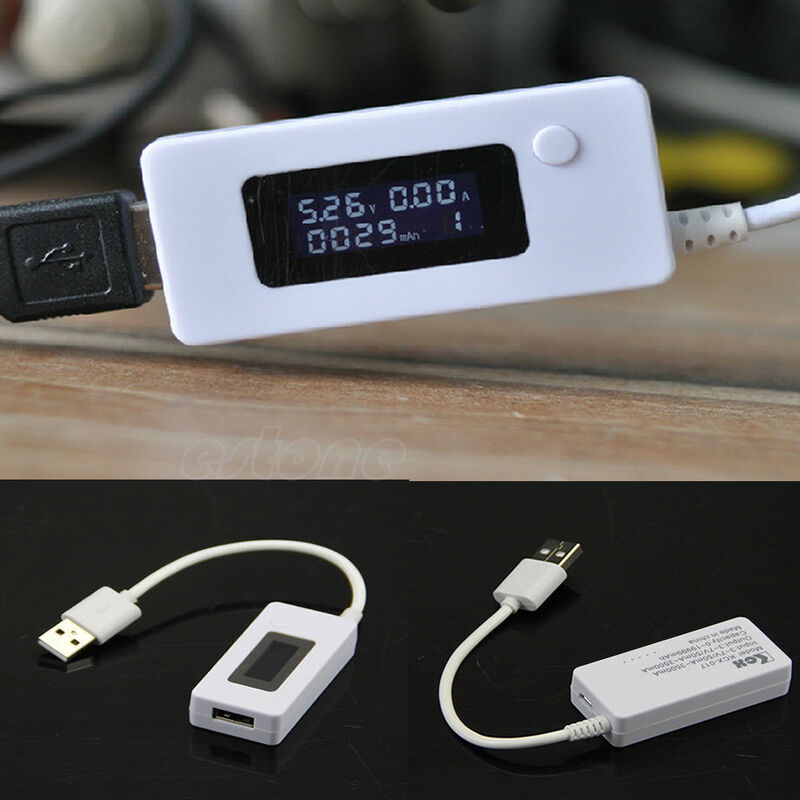 This tester shows the actual battery capacity in just a few seconds of time. Im not super picky about my small motorcycle battery because it was no-good-for-anything and is about 5 years old sitting on my shelf. Im very surprised that it has 106 CCA and still has any use whatsoever. It has been very reliable for my nearly daily routine of lighting 1 9W LED light all night and then lugging the solar panel outside for a charge. And then lugging it all back in. This daily routine has been going on for about 3 months and roughly 90days of regular daily use. But if I were to buy a battery I would be more picky as the price goes up depending on condition. This tester would enable me to determine the condition of the battery. In the future I hope to aquire a battery desulfator to see if I can increase the battery capacity of an old good-for-nothing battery and restore it. I decided to buy a Battery analyzer FIRST before buying a desulfator - that way I have the ability to read the before and after results of desulfation. I was surprised to see my battery analysis after a full nights LED 9W light use. The battery capacity didnt go down as much as I thought - Im wondering if the 2 days-in-a-row of use without solar charging actually helped? Is it possible that deep discharge of the motorcycle battery has added a little capacity to the battery? I dont know but here is the analysis from this morning after about 12hours of LED light use. I also noticed that if I analyze the battery while the LED 9W bulb is powered on - the analysis numbers are just slightly higher in CCA- probably an anomaly in the way these testers mathematically assess the capacity - as the battery is required to be disconnected fully otherwise resistance and capacitance is different. I just brought in my solar panel and battery and analyzed the charge (see above picture) and I dont think the solar panel topped off the battery at all as it is exactly as before - somehow I used the battery for 1 night but it was full before charge and still is the same? It doesnt make sense. The solar controller may have refused to charge it to 106CCA because it was close enough to full? My Solar Controller and LED lights came in handy about a week ago when the power went out on a FREAK snowstorm which dumped 2ft of snow in a matter of a few hours (Sunny and about 40s now and even 1 day sof 60degreeF weather on Thanksgiving). There were several neighborhood trees which were heavy laden with snow and the limbs broken and fell to the ground with a loud thump - I heard 3 thumps from falling tree limbs that day. The utility turned on the power for a minute then it would go out again. Also I avoided using the terrible power which was flickering and I decided to unplug everything and do without for an hour even when it turned on momentarily. I kept one AC powered light on- just to see when the power was clean enough for actual use. It is those brownouts and flickering power times which burn out appliances - in my opinion. So I unplugged everything and flicked off my furnace switch - for safety. Since that time the snow has melted and made the ground soft and mushy. No power outages since that time. My Kerosene heaters (see my other webpage about that) and solar panel and battery and Light came in handy for that 10 hour period of time. 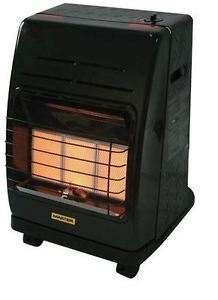 10 hours is a long time to be without heat and light - and I was prepared. During my routine charging of my small motorcycle battery for months - I sometimes noticed the battery going into FLOAT mode and then I would switch to charging my car battery with the "leftover solar power" And today I see my car battery in "FLOAT" mode. But That isnt right. It has a LONG WAY TO GO. It shouldnt be displaying "float" So I changed the MENU SETTING from "CH" to "L" mode. My hunch is that there is either a software glitch or my LMS2430 has an issue. But when I set it to "L" mode - the charging is continuing and shows "BULK" as it should. My hunch is that my incorrect setting or possibly a glitch or issue with my controller has prevented me from fully charging my motorcycle battery for months. I am glad to have caught that issue and hopefully now I will see an increase in CCA. In recent weeks I have seen a drop in CCA in my motorcycle battery from 106 CCA to 82 CCA (Cold cranking amps as measured by my DUOYI Battery Analyzer model DY2015A) and I have been trying to figure out what is going on to cause that. I wasnt sure if it was a battery issue or controller issue. 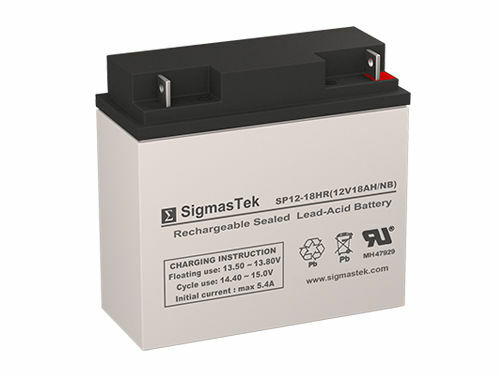 The peak battery voltage was approx 12.6V and would refuse to charge further. That setting may be fine for a brand new battery - but both of my batteries are old and fit for scrap- yet I continue to use them. I also tried (yesterday) to charge my motorcyle battery above and beyond Solar Panel/charge controller FLOAT CH mode - by connecting to my Schumacher SportsPower automatic 12V battery charger in 2A mode and it showed a solid green light (means full charge) and ALSO refused to charge it further. Todays sun reached 1.8A then 2.0A then peaked momentarily at 2.3A and this was being wasted at approx 11AM as I observed "FLOAT" which was obviously not correct as I switched to charging my car battery. I will try to teste my motorcycle battery tommorrow on the new controller settings. I will continue to charge the car battery this way for the rest of the day. It is possible that the only way I HAVE to charge an old motorcycle battery is by solar - since my AC 12V charger "thinks" the battery is fully charged to capacity and refuses to continue to charge it. I had an older Schumacher charger years ago which was NOT automatic float and that one would need babysitting to make sure the battery was not overcharged - I no longer have that one as I sold it years ago. I have no doubt that one would have continued to charge above and beyond 12.6V. Sometimes it is good to keep older equipment- but I thought my automatic float version was good enough that I didnt feel I needed a spare. I believe that old non-automatic float charger was a Schumacher SE1250 if my memory serves. If I still had it - I would have tested it to see if I could further charge my motorcycle battery. I should also say that about 3 days ago I noticed 1 cell below the Minimum fill line so at that point I added distilled water to all cells to the Maximum fill line. I was expecting to see an increase in battery capacity - but it actually didnt make any difference - I saw 82 CCA before fill and 82 CCA in subsequent days after I filled. It is possible that having it low for that period of time damaged that battery. Or it is possible with less sun in the sky - nd plus the solar controller MODE not allowing full charge that somehow accounts for the 20% lower than peak CCA of my already weakened with age battery. Another factor my be that the temperature is in the 40-50 degree F range and that may affect how the solar controller charges and how the battery accepts a charge. Since my solar panel/controller/battery are all outdoors during the charge - they are all exposed to that temp. I dont think my solar controller is temerature compensated and doesnt sense or display any temperature readings. Im also going by a hunch that my battery analyzer is working correctly - I dont know exactly where the issue is - as Im still figuring it out and experimenting. I just went back outside to check on my charging of the Car battery - and I was surprised to see 3.0 Amps and even hit 3.8 amps for a brief few seonds. The sun is definitely out today and I even angled (horizontally oriented) the solar panel against an empty oil drum to try and catch as many sun rays as possible. If Im lucky - I may put 10amps into the car battery today. Since Im charging a car battery still attached to the car - the car itself uses a small amount of power daily and is a drain to keep the clock/memory/computer OBDII module etc running- 10 steps forward and one step backwards - so to speak. If I keep charging it this way - eventually I will fully charge it. but it will take many days to charge a fully drained car battery with one solar panel - intermittant use - in winter months. Even so I think my battery is also slightly self draining and doesnt hold a charge as well as it should. I am surprised to see the CCA at 321 (I disconnected the solar during this reading) as most of this was from "leftover solar charge" on dark cloudy overcast days. This reading is at 12:30PM on 11/29/15 and just about half hour into the 3 AMP bright sun. I estimate this will be a 10amp sun charge day and will be interesting to see what that adds in terms of CCA. At 321 CCA it may be possible to actually start the car- but Im going to let the sun charge the battery as I want to see my solar experiment from start to finish. This battery began at 4 CCA on 11/16/15 - so it took about 2 weeks of intermittant charging with whatever remained of sun after my motorcycle battery reading of "Float" At this point I may be able to start or it may be insufficient power to start - it is really borderline. Ill let it charge a whole lot more. Maybe there will be more good sunny days like today ? Im writing this paragraph at 5:30PM after having put away my solar panel an hour ago. I went back outside to check the actual battery charge and is at 376 CCA. So this means I put about 50 CCA worth of charge on the battery today. The resistance was about 8 m ohms so this battery is under the 13 m ohms - which means it is still considered a good battery - potentially - if the CCA ultimate charge is within battery specs. Hopefully it will charge up fully. So far so good. I also attempted to further charge my motorcycle battery by using my 2A setting on my Schumacher SportsPower charger. The ultimate charge on this battery seems to now be at 80 CCA not 82 CCA. Everytime I top it off - I lose a few CCA of capacity. Now the battery is fully charged at 13.45v whereas before the charger refused to charge it past 12.6V. That doesnt make sense and either is due to the battery being bad or the sensing of the chargers has something odd about it. Today is a very sunny day approx 40degrees and no snow. Yesterday was a very violently windy day and was like that through the night. I see no damage to the roof shingles or anything on my property - luckily. There was a tornado watch but no tornado resulted. I put my solar panel out and leaned it against the empty oil drum approx 12pm Noon and saw between 2.2amps and 5.9 amps varying betwen swiftly passing light clouds. I havent run the solar panel for about 3 weeks as I felt that my charging was somehow depleting the small motorcycle battery's storage capacity??? I measured it this morning and was at 50 CCA so I decided to try and top it off today as a backup against possible electric power loss. A few weeks ago I noticed a drop in storage capacity from 90's CCA to 70s CCA and I didnt know what had caused that. I see today that one of my battery caps has acid corrosion around it - a possible sign that cell is going bad? I will see if the battery has regained some storage capacity after the solar charge and will keep an eye on it throughout the charge to see at what point it "FLOATS" and measure it. I can hear the battery bubbling as it received 2-6amps which is a higher charge rate than supposed to be. The limited sunlight with only a few hours of good sun - makes me do this? I snapped a few photos but since Im running on backup old laptop #2 (my cat threw up on my backup #1 old laptop and I cleaned it and is drying - my point is this older laptop#2 is somehow not compatible with my webhost so it doesnt allow me to upload photos with an older browser (Firefox 12 running Windows XP 1st edition) so I will have to upload photos at a future date here. I am writing this paragraph at 2pm after taking inside my solar panel and battery etc. My battery wasnt benefitting from the solar charge at all. My Duoyi battery testers showed 52CCA and before charge was 50CCA. The internal resistance is approx 50mOhms so it has increased in resistance from 32mOhms about a month ago. The corroded acid residue around one battery cap and the higher resistance and the lower battery capacity - leads me to think this battery has internal damage which is only getting worse and worse. Even so it has a 50CCA capacity which - to the best of my estimation is around 7 amps of charge - is still sufficient to power my LCD lighting for a little more than 1 days - possibly 2 days with TLC. To the best of my estimation - it is approximaty 1 Amp per 7 CCA I am not basing that on anything but my own estimation and experience with my own solar experimentation. I discontinued using my motorcycle battery for about 1 month as it maxed out at 50CCA at a full charge. 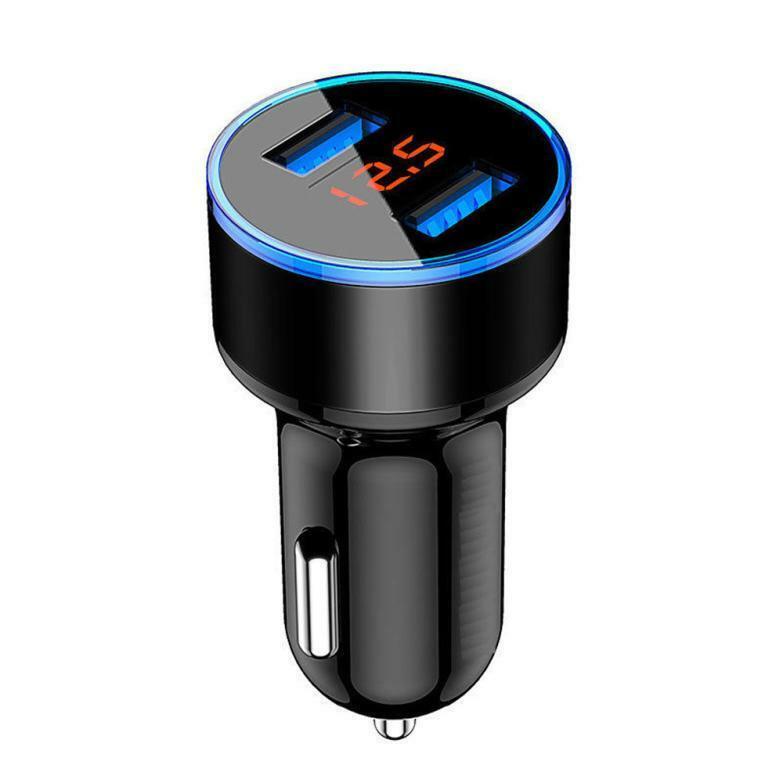 I dont know why its CCA dropped from 106CCA to 50CCA - but I speculate that I overused it and the big automotive charger overcharged it - those 2 things reduced the CCA over the span of a few months. Also I was slightly low on water. It could also be that the cloudy overcast sunlight was not charging the battery sufficiently and I should have been more conservative on using the power? The battery is not a deep cycle battery and that is most probably the biggest factor. Im glad to have a CCA meter and I feel it is a decent model. I checked the CCA of this battery today - for no good reason whatsoever - just keeping an eye on this battery. And I found something amazing and odd - the battery was left fully charged a month ago and now today it measures 60CCA. That is an improvement of 10CCA all on its own. I really dont understand why. It is possible that the acid inside is dissolving whatever is causing the resistance? That is my hunch. Im also wondering - if I leave it untouched for another month - will the CCA continue to climb? Well why am I just letting it sit - well I dont know - I figure the battery is ready in case of a power outage - I can run lights for 1 day on whatever power is still in there. If I continue solar charging and using daily - I wont have a working battery for long at all. So I figure - just leave it be for now and see if it continues to improve next month. Maybe I discovered a very simple way to rejuvinate a battery - just charge it and let it sit? Maybe that is all it needs - just let it be. See this CCA meter is helping me see what is going on inside the battery. None of this makes sense right now. I have been thinking about buying a desulfator and from my research and online videos viewed - it seems that some desulfators are able to improve the battery capacity about 10% and sometimes the battery needs to be desulfated for several weeks for that improvement. Im wondering - basd on my own observations - maybe letting the battery sit fully charged - is an equal solution? Who knows? I certainly didnt expect the 10CCA gain - just by letting it sit. Very strange. I cant attribute that to dirty alligator clips or a rusty connection - no I wiggled those connections and tried multiple clip-on and multiple readings. I know for sure last month it was at 50 CCA and now it is at 60 CCA. Im 100% sure. 50CCA to 60CCA is about a 1.3 Amp increase in capacity - based on my estimates. I hope it continues to climb as I let it sit some more. I have put my solar panel resting on 2ea cinder blocks out yesterday for 5 hours and was producing between 1.2A and 1.8A on an overcast day. Before I solarcharged it, the battery was at 11.8V and 32CCA. After solar charging it was at 12.8V but after letting it rest for a few hours dropped to 12.65V and 33CCA and has a very high internal resistance of 80ohm. I am solar charging it again hoping to top it off or exercise the battery hoping to see some improvement. I should also note that yesterday I cleaned off the acid from the outside of the filler caps which was there all winter - not sure how that got there as the water/acid level is nowhere near the caps but still within the ok-fill-zone lines marked on the side of the battery. I was impressed with the amount of solar charge in very low in the sky sun approx 8:30AM and saw it peak at 3A and hovered at 2.2A-2.5A depending on the cloud cover and then was partially blocked by tree limbs and now is mostly at 1.5A as I write this at 9:30AM. Big difference in solar power from winter months versus spring/summer/fall. As I dont want to put too much amperage into my small battery - I picked a relatively shady spot on the asphalt. I no longer have the project car but roughly the solar panel is in the same general area. As I checked on my battery at Noon I see that the solar panel & controller is producing 1.1A in the shade and the LCD shows "Float" which means the battery is topped off. Being an old junk battery- the internal resistance is high. I will let it continue to charge all day - Float means that the controller has halted all charging to the battery - but as the battery settles - the voltage may drop below the float threshold and may charge a little more at that that time and top it off again. If I disconnect it now then it may not be fully topped off later when the battery voltage "settles down." This battery is good enough to run a small LED 12V light in case of power outages so I am experimenting with trying to revive the battery somewhat today. It is already good enough - but Ill leave it charge/float and see what happens. I dont think it will harm anything as the controller protects the battery from overcharge. Also I want to see my battery stats at full charge to see its maximum capacity at this point. I was surprised when I measured my battery at 12.68V and 47CCA as just 2 days ago it was a max 33CCA. So my battery has some improvement as I saw it go into equilization and bulk charge just 2 days prior. I decided to put out the solar panel and battery and charger today at 10:30AM even though it is for all practical purposes full charged in its old-no-good-battery condition- hoping to see some improvement by doing the same thing again. It is exactly the same weather as 2 days ago and just in the few minutes of setting the panel/battery/charger up I saw a 1.2A to 1.5A charge rate - nice sunny clear day with some trees obstructing at certain times. For the past week approx I have been trying to increase my battery capacity after seeing some increase in capacity on accident. So I continued the same procedure again and again each day or every other day. And amazingly I do see some improvement in the battery capacity. 1. Take out solar panel each morning and set it on 2 cinder blocks where the solar panel is propped up off the ground and faces the sky horizontally. 2. Connect my motorcycle battery and charge controller to the solar panel. 4. Disconnect the battery terminal momentarily (leaving the controller hooked to the solar panel) - The charge controller sees this momentary disconnection as some kind of battery error and goes into equilization mode. 5. I let it equilize all day until I take in the solar panel at sunset or threabouts. I can definitely see an improvement even though it is small and takes a long time to see emall results. I hope these improvements continue as I hope to have stumbled on something that works. Over the years I have traded in my old battery when I purchased a new one. I can see how I should have kept them. but alas not all batteries have potential. I wonder if there will come a point where it no longer sees an increase in capacity- a point of diminishing returns? I observe alot of bubbling inside the battery as the equilization function is performing. It is possible that this bubbling action is very important to the internal battery lead and may have a cleaning action through erosion/bubbling of internal surface oxidation. The internal battery resistance has decreased from 80 mOhm to 59mOhm in that time. 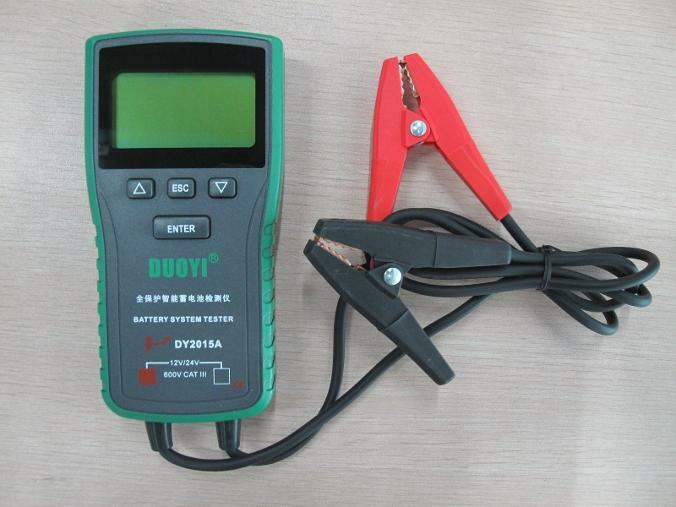 CCA is calculated by the Duoyi Battery System Tester and I am using this meter to reference results. My Observations - It seems that equilization for approx 2 weeks has resulted in a plateau in battery volts, resistance, CCA and doesnt seem to be increasing substantially. I would say that I have seen a zero point 2 mOhm decrease in internal resistance which is not a significant amount of improvement. I have not drained the battery in anyway during this 2 week period and has not powered anything but my Duoyi CCA meter for testing its capacity and record results in above chart. I am hoping there is another ____________ factor like temperature, time, or other unknown where I can apply that unknown to the battery to see another increase in CCA. So far I have increased the battery from low 30CCA to approx 50 CCA which is a substantial performance increase- which I attribute to equalization mode built-in to the controller. But I dont know what that unknown factor is at this time. The battery makes a bubbling sound even when disconnected and this bubbling action is drastically more pronounced when the equalization is taking place. When disconnected completely - the battery will make this slow bubbling sound through out the next day and even a few days afterwards. The power went off at 8:30PM last night during very high winds and torrential rains and thunderstorm. It was a very substantial rain pouring down. When the power went off I went immediately to get my Harbor Freight free flashlight which is hanging on a nail on the wall. I know exactly where that flashlight is. Then I proceeded to hook up my LED 3watt 12V DC light to my motorcycle battery - which hasnt been charged in about 1-1/2 months. The light lasted all night long and quickly became dim but didnt go out all night. It was enough to navigate to the bathroom at night, and also I went outside during the storm (during a relatively calmer period in the storm) and saw that the light was visible from outside. The fact that a light is on during a power outtage probably keeps away the riffraff as there was a couple of cars lurking around the neighborhood driving awfully slow and obviously looking from house to house as they drive by. The LED light did its job and at 5AM I disconnected it - due to the outside daylight becoming visible. At 6AM I lugged my non-working Craftsman Sears 2200watt Alternator/generator which I bought from Craigslist last summer for $25 and I was fiddling with a non-working PCboard for 6 months and couldnt get it to work. I posted a Cragslist AD for wanted used board for this generator - and someone from out of state saw my ad and sold a board for $56 including shipping. I replaced the board 2 months ago but had carburator issues and it would run for 15minutes and then die. 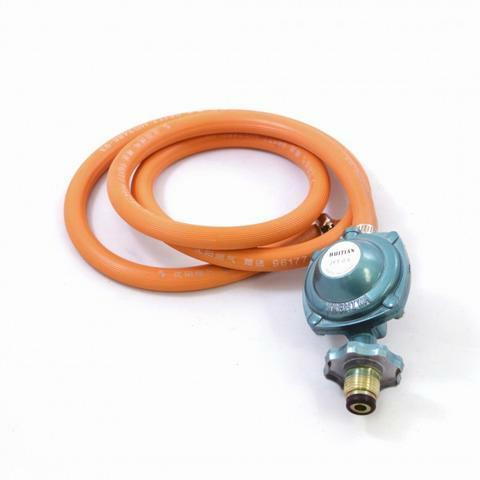 I ordered a brand new carburator from big-auction-site for $10.87 from China. It arrived last month, but I was too busy with putting on a new roof and other chores and work. This power outtage was the opportunity to install the carburator. So at 6AM until 7AM I was tinkering around removing parts that were in the way. Then installed the new carburator. The put back all the parts that I removed. At 7AM I filled it up with gasoline and it ran really good. I was surprised that I didnt have to make any adjustments - it just ran good. I should mention that I checked the oil level first and also periodically I would shut it down for an hour or two and run for 1/2 hour. Each time I would check the oil. You know, it did use some oil in off and on and off and on ...about 2 hours of actual use. I did see the oil level lower than when I started the first time. Running on low oil is a bad idea and can wreck the alternator/generator/motor. The power outtage was caused by some electrical pole issue at my neighbors house. You know the neightbor which grows the trees into the power lines. The truck was over there and when they were done, I called them to look at the other side pole as I told them that the thing-at-the-top of the pole was bent. So they backed up their bucket/boom truck and took a chainsaw up in the bucket truck and snipped off the very top of the pole and put a new ball (whatever it is called) on top. The old one was damaged either during the storm or by racheting the line tight from the other pole. Im glad I observed the whole thing. My impression was that - if I didnt say something - they would have left it in damaged condition. My point is the alternator generator was Handy. I also used my motorcycle battery and solar charged it at 5:30am until 2PM - because who knows when the power will be back on- I was prepared to go another day without power. But the power came back on shortly after the bucket truck crew left. I have 2 emergency power sources that are easily deployed. A solar panel and now I have a working generator too. That Craigslist generator took alot of effort to find parts and fix. It ended up costing me about $100 - and Im glad to finally have a working generator. I used approximately 1/3 tank in 2 hours of use - exclusively running the refrigerator only which is probably 175 watts. My chickens never defrosted and my ice tray still had some ice. I fed my cat the last of the milk last night as I knew it wouldnt keep. I dont think any food spoiled. I probably used $2-4 worth of very old gasoline? K. 1ea decrepit 12V battery which was removed from my used Black&Decker Electromate 400 which I opened and refilled a little water and only worked good for 2 weeks and now has a max of 9V But I still eep it and charge it regularly. L. Misc 3ea cables which convert 5V USB to 12V, 9V which I plan on using with my powerbanks to power landline telephone and Internet box and wireless box. The purpose is for phone and internet connection. M. 2ea spare wall-type USB power adapters which I can use to charge powerbanks. Q. 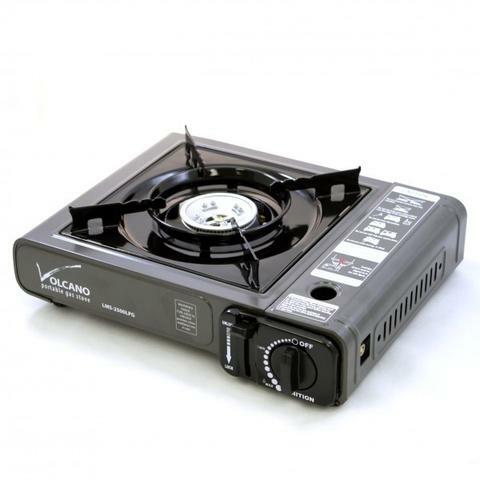 Small single burner Volcano camp stove with accessory hose to run it off 20LB propane tank ($36 purchased online). All of the above is my short-term backup for 1-3 (possibly up to 1 week? of sparing use) days of power outage where I can strategically use these devices sparingly to power phone and inernet etc for a short duration here and there. I have run short term tests to determine how many hours of light and phone and internet service while running off powerbanks and old motorcycle battery etc and portable jump pack etc. I feel VERY PREPARED for Lighting. I feel internet & phone prepared for only 1-3 days of backup power while oonly using sparingly for short sessions here and there. I will be able to have 1ea LED 9W light for at least 1 week running every evening before I deplete my rechargeables and would need to recharge. Even so that isnt using up standard AA batteries etc or propane camping light. So for lighting I feel like I dont need to buy anything further. For short term 1 week or less power outage situation in spring/summer/fall I feel very prepared. For winter months I dont not feel very prepared as my solar panel only produces 100ma during winter days on a good day. That may be enough to recharge 1 powerbank partially- though I have not tried it because powerbanks use lithium batteries and the lithium should not be charged when it is cold. My preparations which work in non-winter months are not always applicable during winter months. I find that lithium batteries (in my 3ea $9 to $13 powerbanks purchased online) hold their charge indefinitely at 100% and 3ea small powerbanks which I own have a total capacity of 12A and are stored untouched for months and still display 100% Great backup power !!!!! Nickel Metal Hydride NiMH batteries (some better than others) self deplete to half charge after 1-2 months. Except for the white Radio Shack batteries which I use in my furnace thermostat which hold a 80% charge after 1 year - the best NiMH batteries in my opinion. 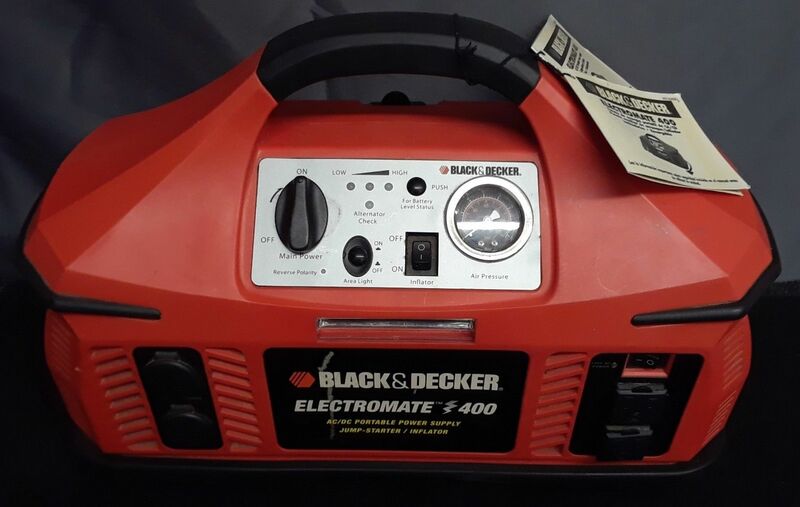 My Black and Decker Electromate has a brand new AGM battery which I purchased online for $36 and self depletes slightly even after just a couple of days. 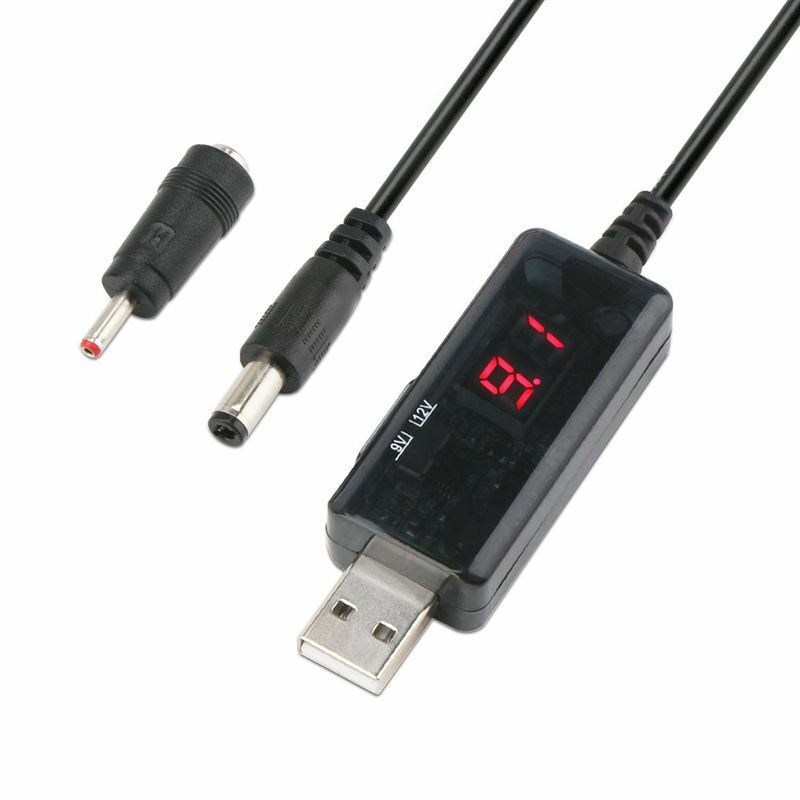 I find myself topping it off for 5-10 minutes every 3-5 days until my cigarette-style-plug-voltage-meter shows 14.7V and then I cut the charging and then the battery dwindles down until it shows 13.1V and even the next day will be down to 13.0V I find that the max capacity has lost about .1 volt after 3 months old battery. Even so I feel that this battery can last a long time if I just am careful about topping it off every few days. Lithium is better because there is no babysitting numerous small recharges. With lithium - nothing further is required - just charge it once and it stays charged - VERY NICE!!! c) 2ea Kerosene heaters are now useless as the local gas station removed kerosene pump 2 years ago. Over the last year I have watched youtube.com videos where people were recording themselves during natural dissasters and other events. Their plight encouraged/motivated me to purchase the above gear so that in case of emergency, I am much better prepared than previous years. With a long way to go as being prepared for 1-3 days or even one week is not a very significant amount of time. The gear I acquired is somewhat renewable/rechargeable so it is useful for a much longer period of time as long as Sunlight/daylight and access to fuel resources allow. There is a bit of luck involved in emergency power and my understanding is natural gas is often still available during blackouts and other weather related outages. So for many potential situations - natural gas may be the only still available fuel source after other sources runout. This may or may not be true of all dissaster/emergency situations. The only situations were natural gas only is applicable is heat and cooking as matches or lighter will power-on a natural gas stovetop despite the electricity being off. The oven wont work without electricity - but the stovetop will still light as usual. During the most bitterly cold part of winter (2-3 week on a bad winter year) - my furnace produces 60000 btu to 80000 btu of heat running almost nonstop nearly continuously. Its very difficult to prepare (Im not ready for that which is a source of worry) for an emergency heat and to be fully prepared with fuel etc for use during that coldspell. My little 2200 watt gasoline powered generator can supply enough power for the furnace as I estimate that it takes 800watts to 1200watts to run. However at the present time I have no way to connect the generator to the furnace. The furnace is hardwired to the conduit lines which lead to the on/off switch which leads to the circuit breaker box. I see no way to power the furnace from the generator at this time. 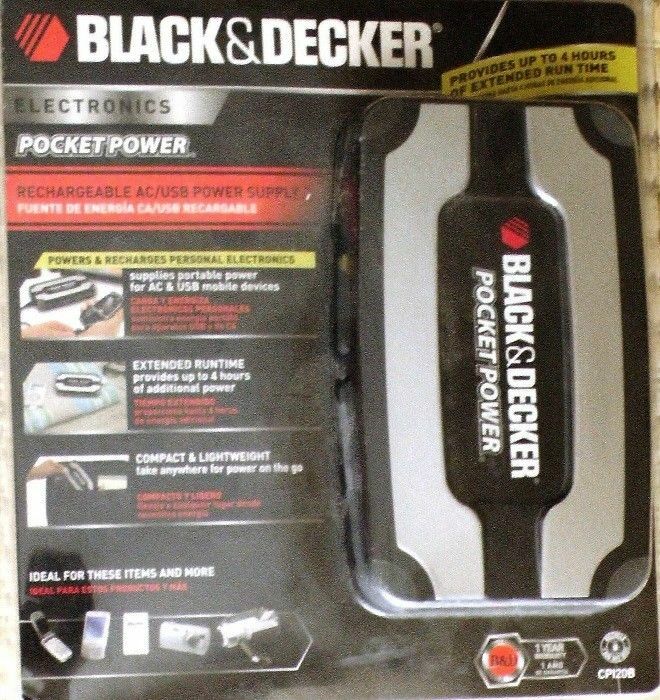 I am depending on portable power in case of emergency and gas stations to supply fuel which may or may not be available/open during an actual emergency. 1. Drain the water in the lines, drain the water heater, drain the water in toilet and plumbing to avoid freezing and breaking it all due to freezing temps and fuel ranout. I dont actually know how to drain the water completely and this is something I need to learn to do - just in case some disaster hits in the winter months - then I wont lose everything Ive ever worked for.